Natwest - Protecting your account!!! 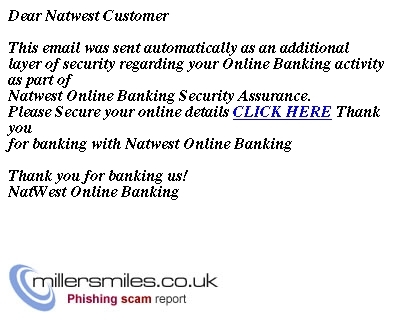 Natwest Online Banking Security Assurance. Thank you for banking us!